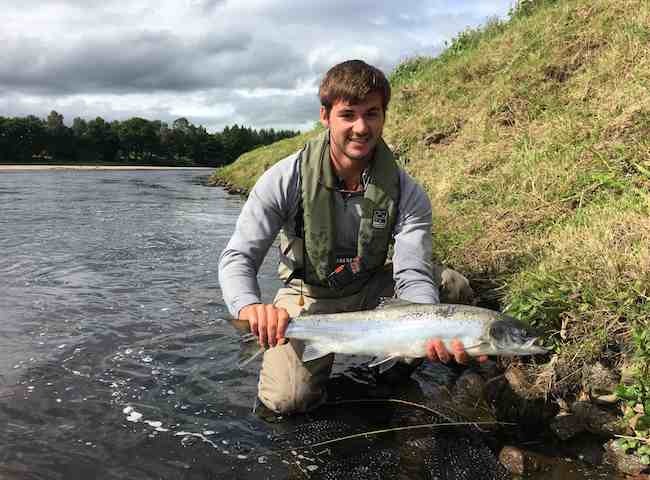 This perfect Summer salmon was landed by this happy client earlier this week on his very first visit to the mighty River Tay. Being out on the salmon river observing the scenery is magnificent and learning to appreciate the river's vibe is another part of it's magic. If you're looking for something completely natural and different to show your business associates then an Atlantic salmon will do the job perfectly. 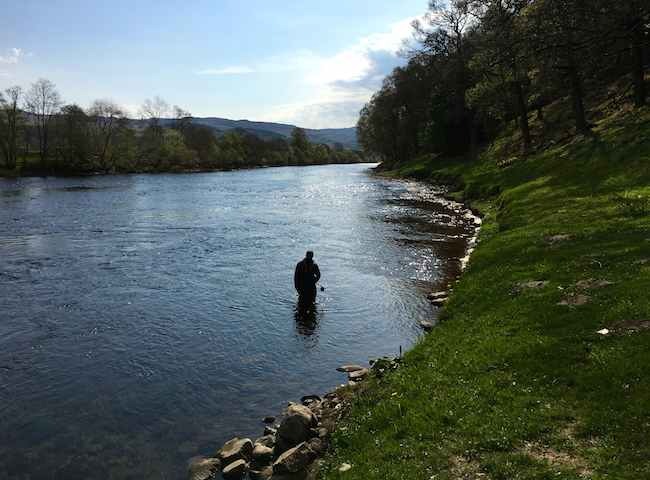 Here's a naturally tranquil scene from Scotland's famous River Tay with a salmon fisher out testing his skills against the King Of Fish. 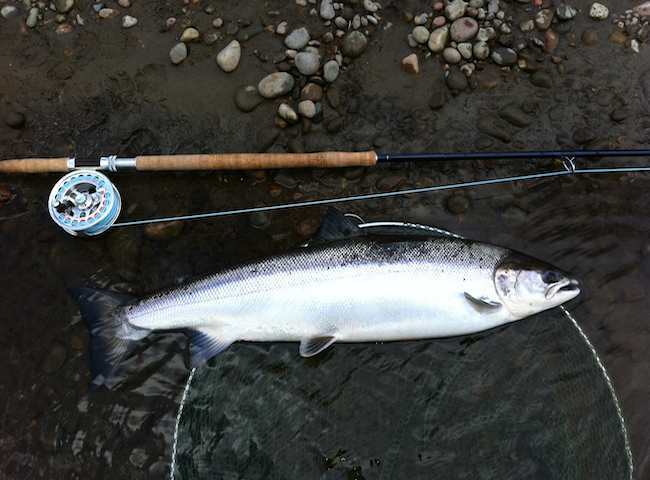 It takes special tact and skill to lure one of these perfect Salmon to your fly. 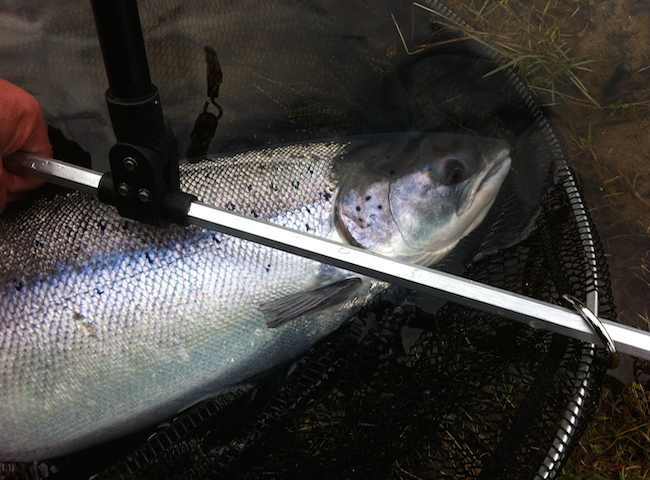 Test your natural instincts out against an Atlantic salmon which is one of life's true remaining tests. 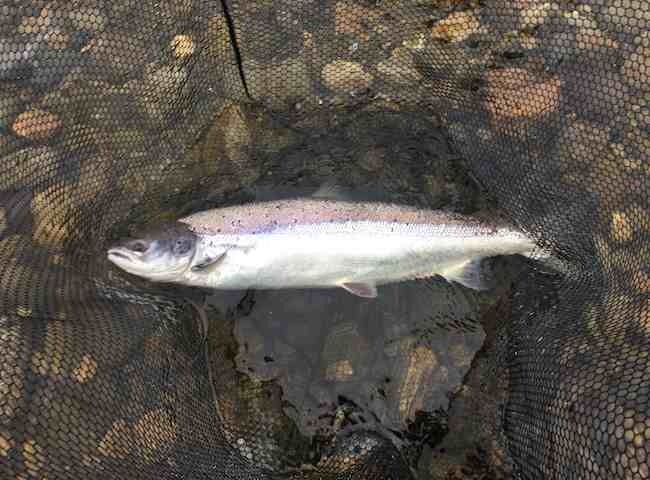 This fine specimen was caught last Friday morning on the River Tay with the very first cast. What a beautiful fish and such a great start to the fishing day to catch one so quickly. 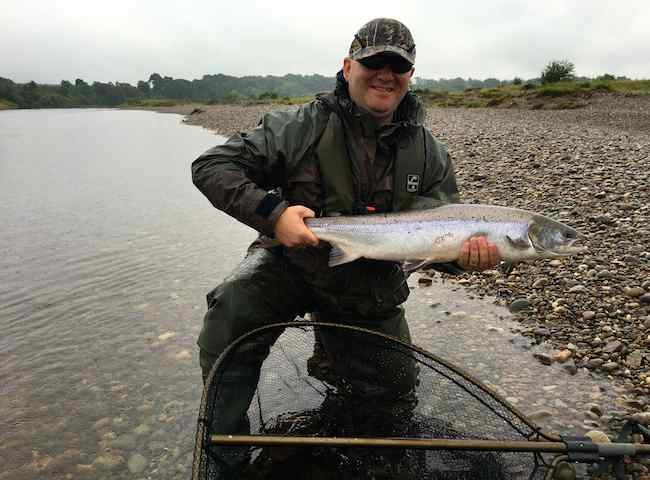 This was this fortunate salmon fisher's second salmon last Friday which capped a perfect River Tay salmon fishing experience for him. Here's the ultimate setting for entertaining your important business contacts in. 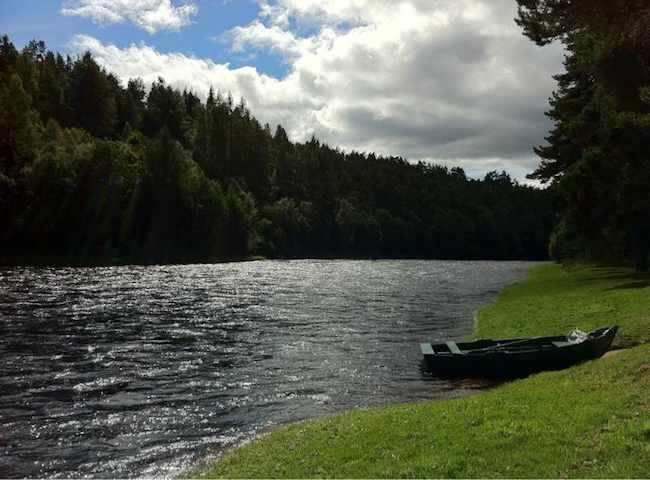 This is the perfect scenery of the River Tay near Dunkeld. 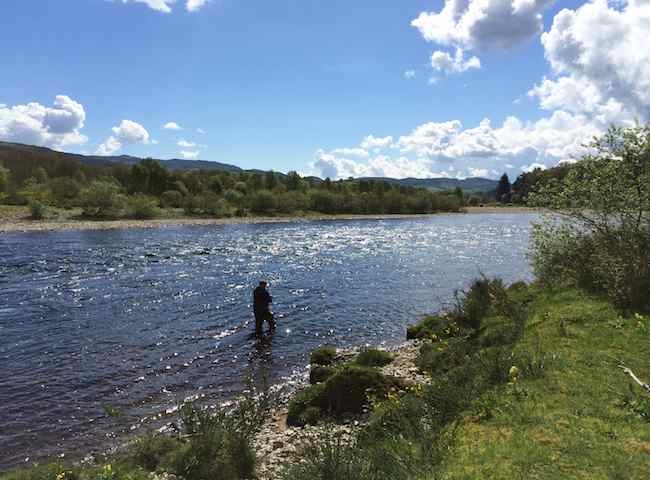 All you need is some blue sky, riverbank greenery and a salmon fly rod to have a great day out on the River Tay. 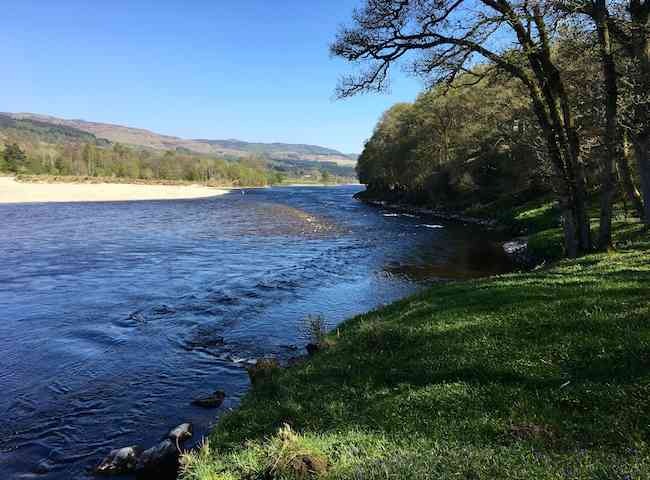 Treat your business colleagues to a close up encounter with one of these perfect River Tay creatures. A fishing event will create lasting memories and is perfect for team building and business relationship development purposes. 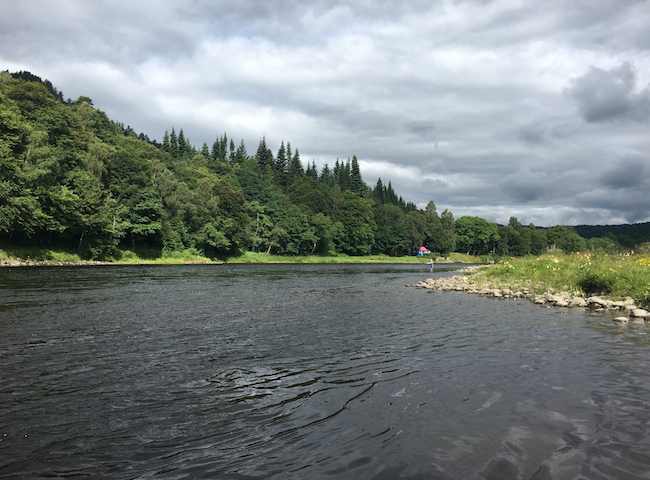 There's something truly special about spending time on the Scottish salmon river. 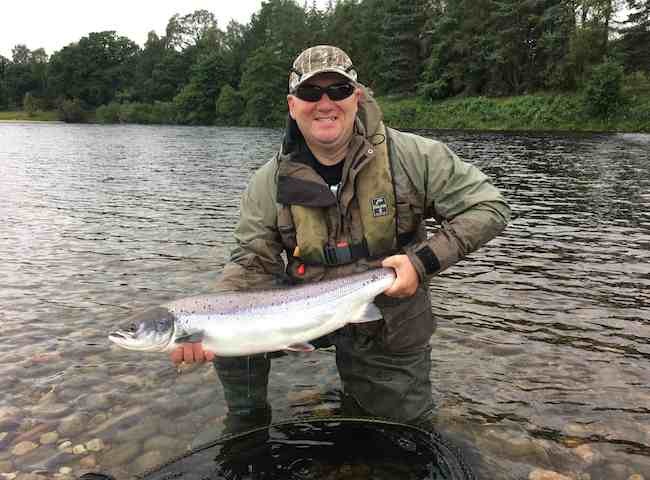 Test my theory via a professionally conducted salmon fishing event day on the River Tay.